2019 a year to redress Clergy Abuse and Spiritual Misogyny? The following New Year reflection is supplied by the Revd. Dr. Elizabeth Koepping, Honorary Fellow at the School of Divinity at the University of Edinburgh and semi-retired priest in the Diocese of Oxford. The text of her open letter to the Church Times in December 2018 is provided at the base of her blog. Dr Koepping is currently writing a book on husband-wife violence in the international church as a theological and pastoral scandal. Church hierarchies of every brand, seminaries and in-service training need to attend to this ‘violence and domestic abuse within the churches’ as a matter of urgency. Dr Elizabeth Koepping presenting her working thesis at the BadFaithed Symposium 2018 convened at Westminster College, Cambridge with Rt Revd Dr Joanna Penberthy Bishop of St Davids’ and Dr Sue Jervis. “Natalie Collins rightly notes that an abused clergy spouse has no pastor, but nor, from my own multi-country research among Christians, do abused female parishioners of an abusing pastor, such women being adept at ‘smelling out’ and avoiding such church-supported sinners. There may be female clergy who beat up their husbands but for the sake of argument, let’s say in my Church Times letter cited above, I was referring to abusive male clergy. Should a female vicar slap, bash, thump, punch or kick a husband, I suspect such ‘unfeminine’ behaviour would be quickly squashed by church authorities, in the same way that, to my current knowledge, adultery or an extra-marital affair undertaken by female clergy is treated more harshly by various bishops in the Anglican Communion, as in other churches. Nice vicar-ladies don’t do violence, but decent vicar-men apparently can. And there’s me thinking we worship God in Trinity and not our culture! I’m currently writing a book on husband-wife violence in Christian contexts, drawing on my own research in fifteen countries supplemented by other material. I’m especially interested in clergy violence against their wives not because abused clergy wives are any more precious than any another wife, but on pastoral and theological grounds. The overall effect on the congregation led by an abuser can be catastrophic. And what about the Bishop or Superintendent under whom the abusing guy works: do they not feel ashamed at supporting the blasphemy of a man elevating the host at the Eucharist with hands last used to beat his wife? People usually assume such clerical violence is elsewhere- Sudan, Trinidad…in the next city or country. But it is present in your diocese, circuit or presbytery. What do Bishops do about it? Maybe more do suspend an abusive vicar for a specific period including mandatory counselling/re-training than we imagine. However the internal ecclesial procedures are not transparent, and I suspect leaders are glad if the violence lands the abusive cleric in jail, a prison term making dismissal easier. But if the guy was divorced for abusive behaviour, cited in the divorce, but his supervisor decides it would be a pity to curtail his ‘flourishing’ ministry ‘just for that’ or merely keeps the offence on the priest’s/ minister’s/pastor’s CV for five years, what does that say about the gospel, or how does that speak to Genesis 1:27? Pretty badly, I’d say. Do some church leaders not grasp the critical fact that an abuser (let lone the survivor) needs to go through a long term period of counselling, if abuse has been perpetrated? If the perpetrator opens his heart to the process of counselling, and confronts his actions, there is a chance of moving beyond violence towards some to respect for all. However at present there is too much evidence of upper-level clerics’ operating with cowardice, a touch of misogyny and a fatal wish to cover up the ‘misdemeanour’ and allow the perpetrator to carry on in ministry, leaving his family disgusted and indeed likely to abandon the church. 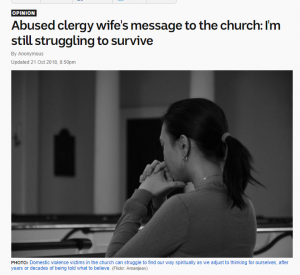 Do church leaders not care that offences of domestic abuse are in fact not only violations against another human being but against God, against the Christ in that survivor? These are some of the wider theologically based considerations which we must also address as people ‘within churches’, as well as ensuring the protection which needs to be brought into play immediately and consistently for those whose body and soul have been violated. Without intervention to deal with the violence within the perpetrator, future congregation members may be at risk, for the attitude which supported the violence will be present in other aspects of the perpetrator’s ministry: any person, ordained or not, who feels entitled to abuse his spouse has an issue which may well come out in other areas. Fiona Scolding QC lead the interrogation of witnesses in the hearings on the Dioceses of Chichester and Gloucester at the recent Independent Inquiry into Child Sexual Abuse, where ‘dissembling’ by perpetrators and ‘group think’ by those in authority, was unmasked in the testimony submitted to the inquiry. As the recent Chichester debacle surely showed, ordained persons do dissemble and indeed lie. Some (about to be) unmasked clerical perpetrators of marital violence swiftly tell their Bishop/boss about their wife’s ‘instability/neuroticism/menopausal disturbance/’ whatever. Yet unless a perpetrator is legally insane, every act of violence against another person is an act of choice: if I may be so blunt, it is a sin. Such an abuser who does not see that may blatantly lie about the choice they have taken consistently to break their own marital vow to love and honour their wife and, it seems, they may gain sympathy and leniency. ‘Fathers in God’ and de facto employers are not forced to act on judgements of a divorce court regarding the marital violence of a man under them: given their apathy, or male bonding, or whatever, it is time our church safeguarding ensured they were. Sir, — Natalie Collins rightly notes that an abused clergy spouse has no pastor; nor, from my own multi-country research among Christians, have abused female parishioners of an abusing pastor, such women being adept at “smelling out” and avoiding such church-supported sinners. Among England-based Church Times readers will be vicars who systematically abuse their wives with the knowledge of at least some in the parish; bishops who are fully aware of abusing clergy in their charge and yet choose to call it “an anger-management problem”, or blame common tenure or freehold for their colluding cowardice; and parishioners whose priest’s prayers (1 Peter 3.7) God does not hear. The Article by Natalie Collins can be accessed here. There has been a great deal recently in the European Press around people’s trust in either individuals, organisations, businesses suffering rupture. The #metoo campaign launched by actor Alyssa Milano, as an expose detailing the rising allegations of Hollywood producer Harvey Weinstein, but morphed rapidly into a multi million tweet, Facebook update, Instagram phenomenon of #metoo instances of women who have experienced sexual harassment or assault. Alyssa Milano believed that if women were to post #metoo on their status, it would start to identify publicly the magnitude of this dimension of physical violence and intimidation experienced by women across the globe. Wherever tech reached there a #metoo status update sat, for many countries due to the penetration of social media and the technology to support it the updates were in their millions. The #metoo campaign burst into a conflagration setting light to social media fanned awareness of Sexual harassment and abuse internationally. More followed from churches under the focused attention of the independent IICSA process -( the Independent Inquiry into Child Sexual Abuse) commissioned by Vicar’s daughter Teresa May, when in the role of Home Secretary . Although IICSA suffered its own troubled trajectory into stability, it has now settled under the chairing of Professor Alexis Jay to produce uncomfortable news, not just for the local authorities and policing under review, but also for Church hierarchies within in particular (though not exclusively) the Catholic and Anglican churches. This was heralded in its interim report of 2016, which intimated a renewed focus on the behaviours of not only town councils, Local Education Authorities, Social Services, and over 1400 historic cases of Child Sexual Abuse being managed by national policing through Operation Hydrant, but the role of some of our national religious treasures (to in their failure to safeguard, and protect children who passed through their professional services and care. Following a series of open panels and closed hearings in 2017, the commencement of the furies for the major Christian denominations begun in earnest with the series of open hearings in June 2018, focusing on the appropriateness (or otherwise!) of safeguarding and child protection policies and practices in the Anglican Church. It also considered the adequacy of the Past Cases Review of the Church of England and the Historic Cases Review of the Church in Wales which had been undertaken previously. As a case study, the panel reviewed the experience of the Diocese of Chichester, where over the last sixty years there have been multiple allegations of sexual abuse, and numerous investigations and reviews which have in the view of many of the victims and survivors and those who have accompanied them in the wilderness been various shades of whitewashing. The hearings have in the last couple of weeks reviewed the case of Peter Ball, formerly Bishop of Lewes and subsequently Bishop of Gloucester, and investigated whether there were inappropriate attempts by people of prominence to interfere in the criminal justice process after he was first accused of child sexual offences. The bold and significant decision to render these hearings open to anyone who had wi-fi access and a device to view, has forensically laid bear major short comings in Catholic and Anglican organisational processes. Day after day of the fortnight long hearings fresh revelations of lack of due process for reporting offences, full co-operation with public justice mechanisms, or a reliance on the mantra of ‘it was a different time’ emerged to the consternation of those still left in congregations, and an astounded forest of bystanders as commentary from major broadsheet and a flurry of tweets emerged from the IICSA hearing centre of Pocock Street in London. Here under the cross examination of the legal team headed by leading counsel in the Anglican enquiry, Ms Fiona Scolding Queen’s Counsel to the Anglican investigation, the Dioceses of Chichester and Gloucester of the 1970s, 80s and 90s, were left blinking into the headlights of major systems change which had been taking place across the public sector. The whole tenor of the church’s stance in the turn of the century and into the early noughties, has something of the flavour of the response of senior BBC management thirty years before, as affected departments failed to respond in speed, openness and robustness to the allegations and rumours surrounding the behaviours of the late Jimmy Savile. Savile’s multiple crimes seemingly protected by his privileged DJ, Saturday evening family treasure, health care volunteer ‘par excellence’ status, management reputation for the BBC and an inexplicable cultural passivity with regard to child victim and historic allegations of CSA, which contributed to the setting up of the IICSA . As a fascinated and appalled audience tapped in the IICSA panel’s URL they were served similar processes of denial, mislaid letters of complaint, potential cover-ups, insights into perverse male networking to protect institutional and episcopal reputations in clear breach of onward safeguarding concerns surrounding those with allegations of abuse against them, and the welfare of survivors who had reported alleged offences being poorly served. 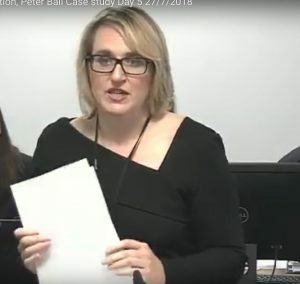 In the following weeks Catholic and Anglican institutions came out poorly under the forensic headlights deployed by Fiona Scolding QC and her teams attention. The roles of authority, positions of spiritually shored up trust, held by ‘religious’ men and ‘nuns’ in educational establishments, churches, youth clubs, in children’s homes, in health care clearly broken by the few, buried by senior managers, balancing agencies of justice blind-sighted in some instances by the wielding of the cloak of male patrimony and networks, whilst the young lives who were committed to their care and comprehensively traumatised and abused, were still awaiting full accountability and restitution. A case of Badfaithing all around. 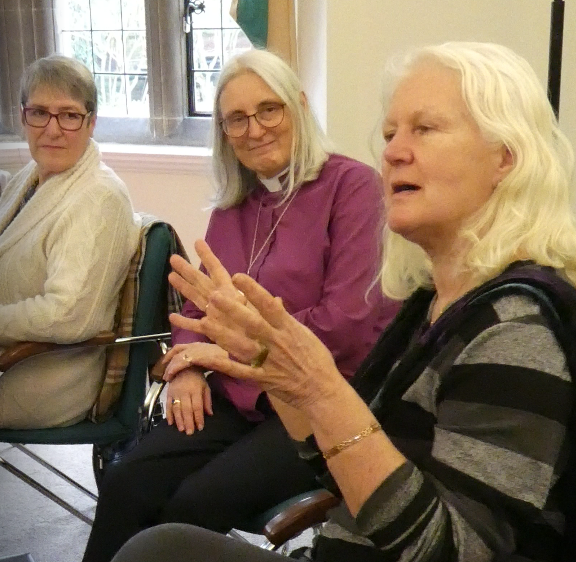 In April 2018 weeks after the first hearings on the Chichester case were being broadcast through the internet, the first Bad Faithed symposium was convened at Westminster College, an institution significantly founded by two pioneering Presbyterian twin sisters at the end of the nineteenth century and now forming part of the Federation of Theological Colleges at the University of Cambridge. 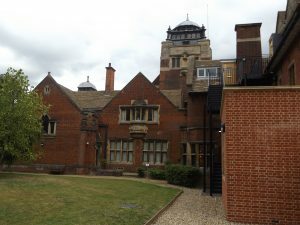 Westminster College University of Cambridge, founded by twin Scottish Sisters Agnes Lewis and Margaret Gibson. 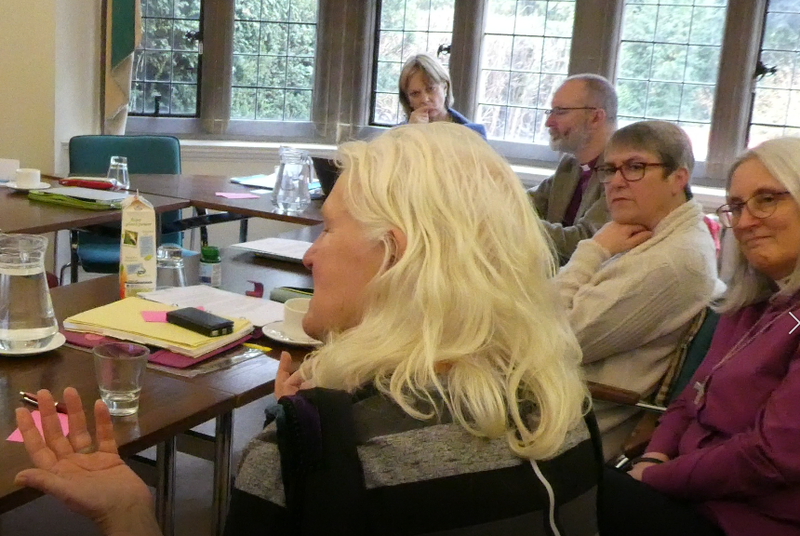 The day long symposium was chaired by the Revd Dr Carrie Pemberton Ford and attended by three Anglican Bishops (two female one male), survivors of clergy marital breakdown with significant attendant abuse, a former senior military wife, three theologians and two Professors in Church History and the Sociology of Religion. with initial tweeting taking place under the tag of #Churchtoo, it was seen that there was a requirement to develop a space where experiences of ‘sub optimal’ performance by those in clerical or church leadership could start to be announced, and some ways forward for raising the standard of behaviour, and protecting those parties who faced the experience of mutliple forms of badfaithing abuse behind the closed doors of vicarages, rectories, manses, priests homes, academics lodgings, tutors houses, bishop’s palaces, youth retreat leaders front rooms, chaplains’ housing, across the UK and beyond. Thus the #Hometruths conference of 2018 was conceived and is just a couple of months away from its public birthing. #Churchtoo has now also been taken forward by those in the LGBTI communities who have experienced closure of professional posts, welcome, the possibility of a Christian marriage, cultural aversion to their identity and hospitality to their affective relationships, systematic negative teaching within many churches crowned by the now soon to be comprehensively banned in the UK gay conversion therapy. 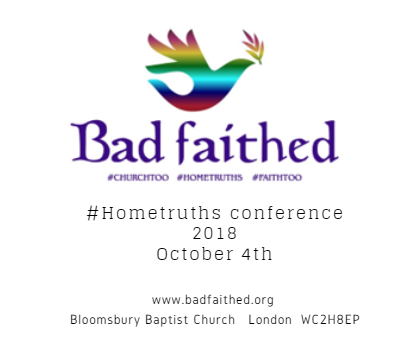 The #Hometruths conference will be deploying #Hometruths, #Churchtoo, and #Faithtoo in the spirit of the #metoo campaign, seeking to shine a light on the occluded abuse of Ecclesial domestic abuse, and the way in which multiple abuses which take place in the domestic location of some pastors, vicars, ministers, archdeacons, deans, bishops, youth workers, organists, affiliated church workers, have been substantially ignored within the institution, though frequently absorbing many man hours in Bishop’s and senior leaders teams as they recover the fall out for parishes, and professional deployment. The question for the initial conference will shine a light on current safeguarding requirements of children within the ecclesial domestic space, enhancing early reporting of household abuse across the churches and how the journey to improvement might be managed, historical domestic abuse in the ecclesial family home which has been comprehensively ignored by the institution but lives on in the legacy of those affected by ecclesial negligence in the past and may well be continuing in current practice in the present, ongoing protection needs of abused spouses, appropriate measures in place to assist clerical marriages in collapse to be deconstructed safely, the impact of the almost certain loss of the domestic home. The latter is due to the peculiar arrangements of tied property which has been the standard arrangement to facilitate ease of movement, ministry and accommodation for parochial clergy initially in the Anglican communion, and has been taken as a template across other denominations. However there are numerous financial, psycho-social, and personal welfare issues which arise from its loss, particularly on any disenfranchised spouse (these are principally women/wives due to church institutions having been solely male appointing bodies). The exploration of data which we are looking to gather to understand the long term impacts could mirror the gendered incidence of domestic abuse and violence in the wider population, or due to some prevailing systemic undertows cause even more of a gendered asymmetry in impact. There is undoubtedly much to do in the aftermath of #metoo and its #churchtoo impacts. 2019 Crafted with love by SiteOrigin.